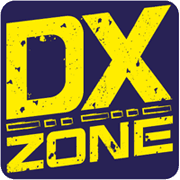 Northern Illinois DX Association - The NIDXA is an active DX club affiliated with the ARRL. NIDXA runs the W9 Incoming QSL bureau, a DX Packet Cluster, and the world famous W9DXCC convention. VK2KFJ, Steve in Sydney, Australia. - VK2KFJ amatuer radio information pages, including packet radio, six metres, radio modifications, local repeater lists. TA-Network - Turkey Network List, Turkish bulletins and Packet downloads. UISS Windows UI-Packet Program - Freeware program, special and easy to use packet program for communicating with ISS, PCSat and other 'compatible' sats. Can also be used for basic normal packet.